You may use your own spreadsheets during this activity. 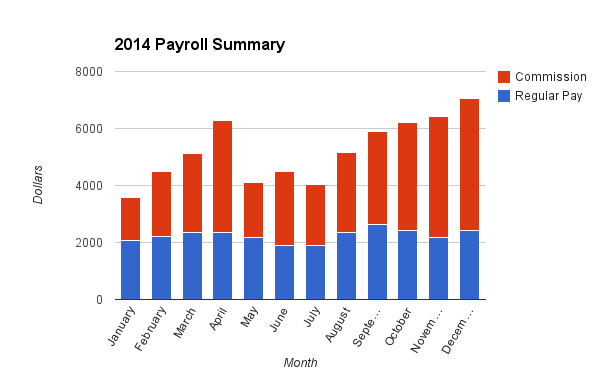 a running total of the Total Net Pay from January to the current month. 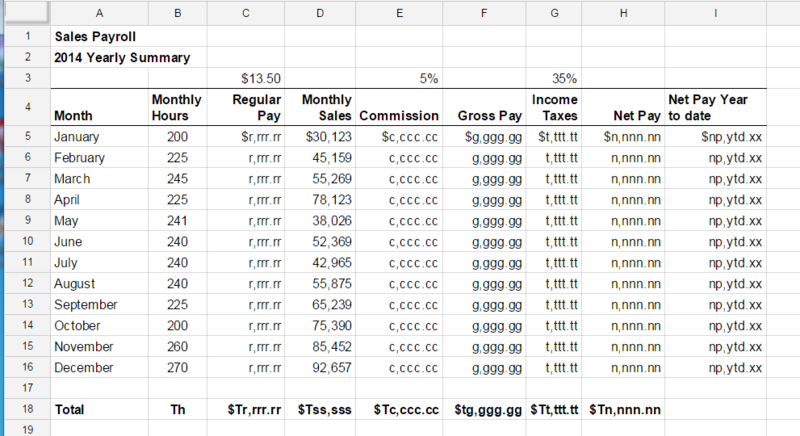 Create a stacked bar (column) graph to show the Regular Pay and Commission portions of the gross pay.